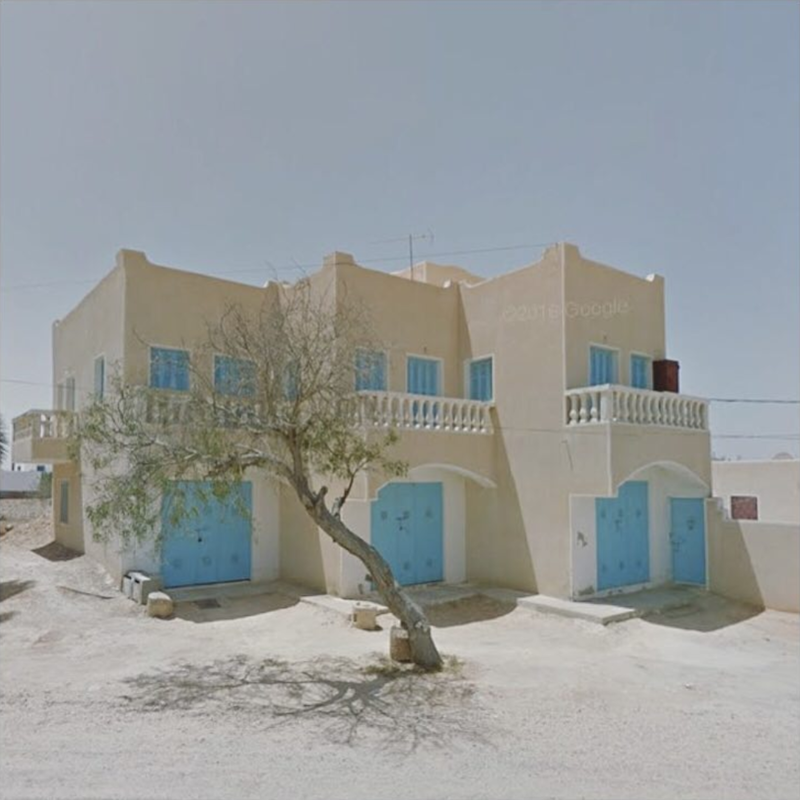 Last year I came across an article on an agoraphobic photographer on artsy.net and from the beginning I found the concept of her Google Street View ready-made photography very interesting. Jacqui Kenny suffers from agoraphobia and has a fear of flying, but this has not stopped her from wandering the streets of numerous countries. After working in the industry for years, she began snapping images that caught her gaze whilst wandering thorough Google Street View a couple of years ago, all this without leaving her studio in London. In these two years she has developed, with the help of Google Street View's car, her own photographic lexicon. This comprises soft pastels, high shadow contrasts and clean, defined lines. And her favourite locations have this aplenty. 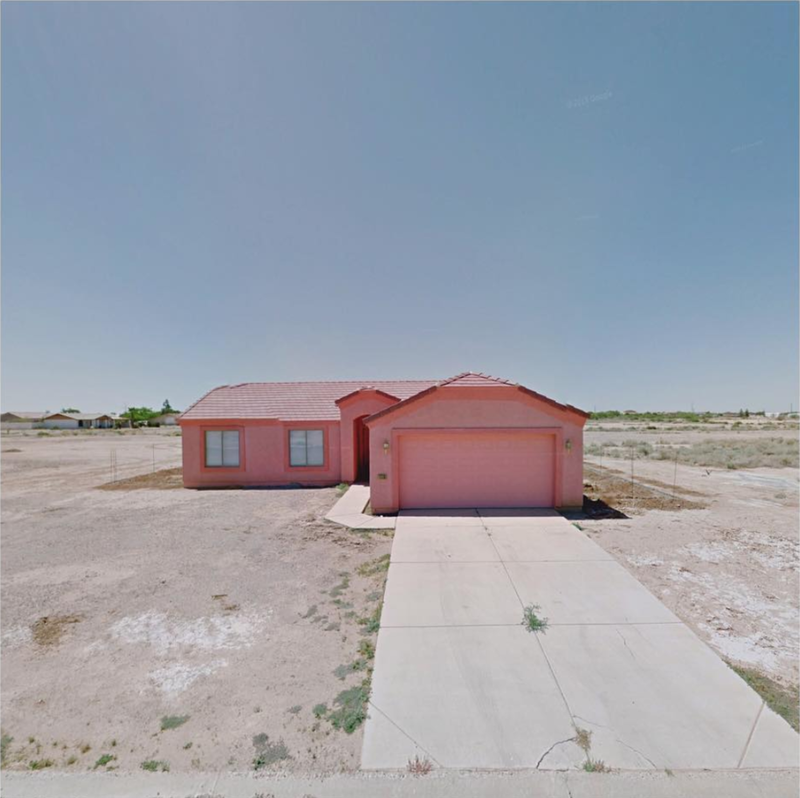 Sun-bleached suburban Mexican landscapes, the outskirts of small towns in Peru, Bolivia or the Middle East, but also Canada, Russia, West Africa... The idea is to isolate the image and present it in a more traditional, white-cube, white frame format. 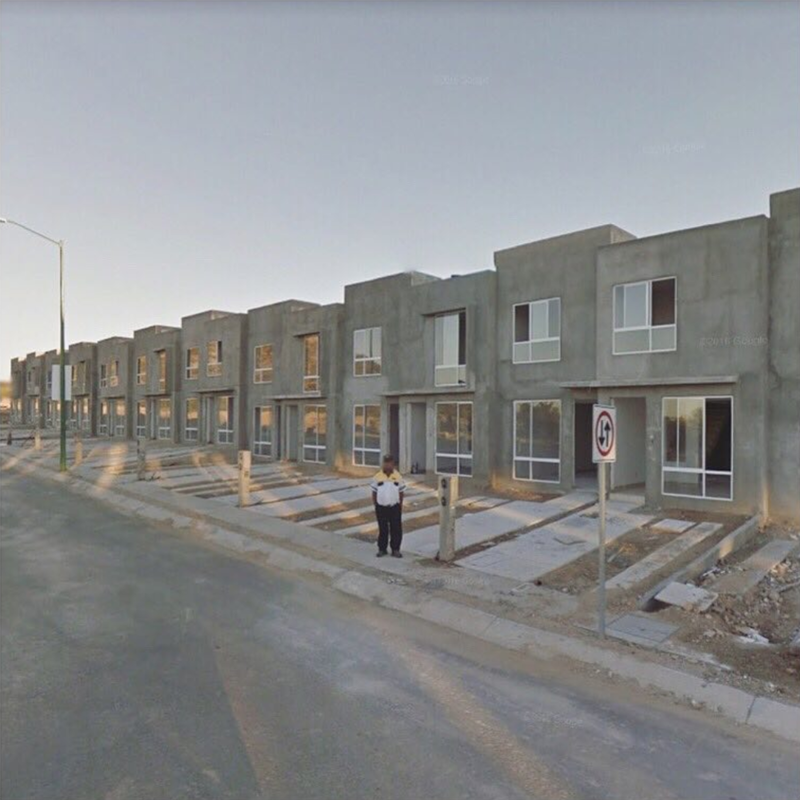 As a person who has wandered the streets of Google Street View heavily, I was fascinated with this project and all the different ideas and layers underneath. A modern wanderer, a new type of flâneur via technology. Jacqui sits at home and applies her gaze to this random, unsaturated locations, trying to find beauty in her own aesthetic language, in a very similar way to what Marcel Duchamp did with his ready-made objects. Repurposing the generic, informative nature of the images and turning them into isolated fragments of artistic value. The result is not the same as what a normal photographer could have obtained whilst on the street. The point of view is always higher resulting in a form of gigantism, in which all the human subjects become small figurines in a make-believe stage, even when up close. Shadows increase, angles sharpen, and even when the subjects are confronted directly, the pictures have this "looking down" effect that shows how technology is changing our perception of reality. Since the inception of face-fronting cameras on mobile devices the selfie has become the standard view of the self, in which the author/subject line is blurred. Why hand over your phone to a stranger whilst visiting some location, when you can extend your arm and include the landmark in the background, showing that you're in control of your image production. I still remember how weird and unnatural it seemed when me and my friends took a paleo-selfie with a disposable camera whilst on a school trip to Paris in 2000. The image shows my friend Luisa holding the camera on an upward angle, arms stretched, and our faces peeking over her shoulders. We had to wait to be back in Spain to see the result once the pictures were developed. I challenge you to do a quick survey of your friends' profile pictures on Facebook, or check the latest pictures on your Instagram feed and not run mostly into selfies. As our use of technology matures and gets embedded in the way we socialise, the selfie has become so normal that it seems to be the best, if not the only way you can represent yourself. Now when faced with a representation of self that is not self-produced, we would say our reaction is quite the opposite: it tends to look manufactured, commercial, staged. But this does not stop with selfies and pictures. With the advent of video-based communication systems, from Skype to FaceTime, or the popularisation of YouTube video blogging, another new camera angle was born, that of the subject being filmed from a camera on top of a surface, lower than the natural point of view. This is becoming such a standard that more and more film and TV productions are incorporating this lower point of view as part of their repertoire. Nacho Vigalondo's "Open Windows" film of 2013 is shown as the interactions on a laptop screen between the character of actor Elijah Wood and a group of hackers, combining video conference with web search images. Modern Family's Emmy-award winning episode of 2015 "Connection Lost" is also seen entirely from Julie Bowen's laptop screen, in a succession of FaceTime calls, iMessage chats and shared video files. More and more shows and films include candid images of their characters having confessional moments with a laptop in a YouTube video sthat goes beyond the mockumentary format. If the 1950s saw the birth of the TV sit-com and we got used to seeing a group of characters sitting on a sofa opposite their TV set that mirrors the audience, turning our screen into a double-edged mirror as if they could almost see us back, now this type of recognisable separation between the point of view of the audience and the artistic products has mostly evaporated and given way to a new mirror that doesn't refelct reality in the same way. Families do not sit to watch TV in the same way as they did in the 70s, 80s or 90s. The plethora of devices used and the multiple levels of information that are happening at the same when you can browse the internet as you watch a film, check on your phone and pinpoint the shooting location, review critics or the actor's other works, have turned the experience of watching into something else. In this context, Jacqui's work in selecting these frames from the unlimited source that is Google Street View is the latest chapter on the ways we are humanising information technology into more canonical, easily consumable artefacts that still links us to the same centuries-old cultural heritage even when we are at the doorstep of 21st century's third decade. Some might say that Jacqui Kenny's work allows itself to romanticise on the exotic of the locations she visits in a kind of cyber-orientalism that has simply changed the channel but it is still fixated on the undeveloped, raw essence of those foreign yet familiar landscapes, like the manicured lawns attempting an American suburbia on the outskirts of some Mexican city on the border with the United States. But her work is as much one of romantic escapism as it is one of showing the beauty of everyday life, in its most truest sense, unbiased and free of judgment. 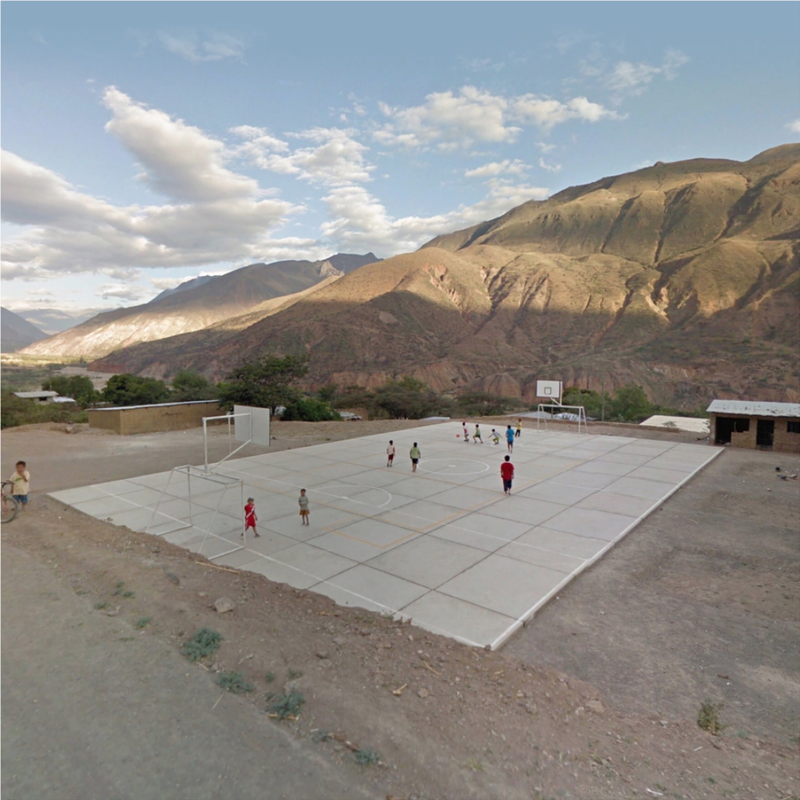 Jacqui Kenny, Google Street View Scene - Sonora, Mexico. 2017. 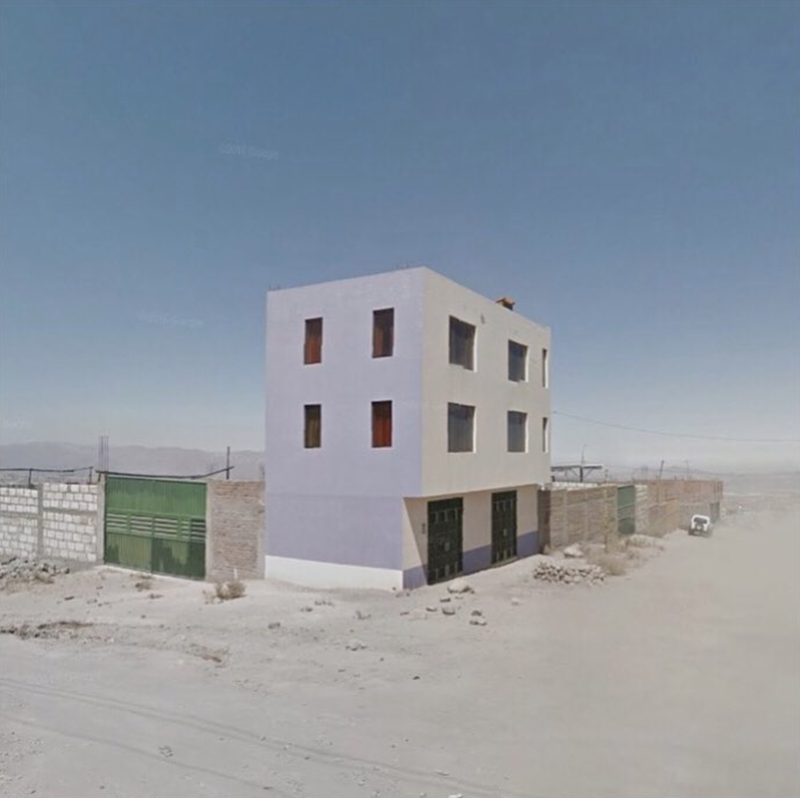 Jacqui Kenny, Google Street View Scene - Building in Arequipa, Peru. 2017.